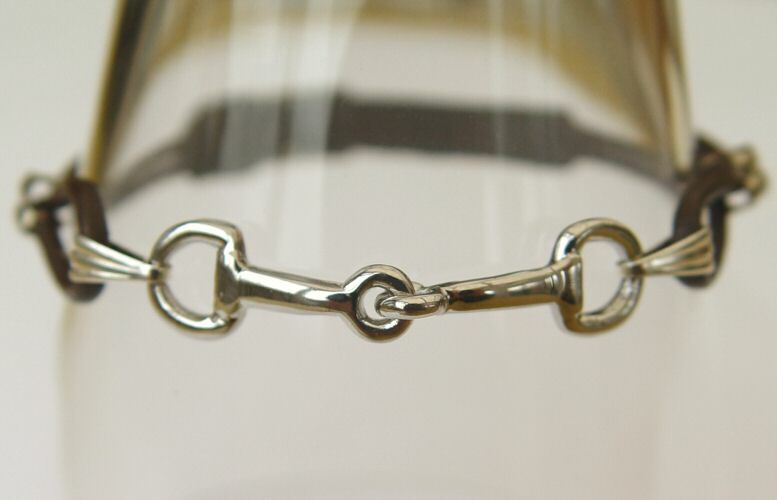 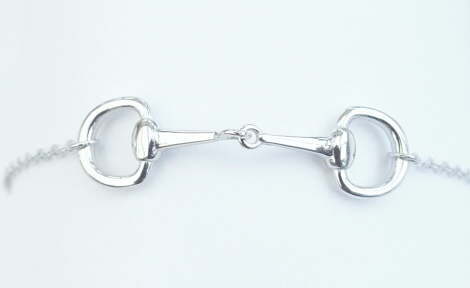 Sterling Silver Snaffle Bit Bracelet: this delicate bracelet features a silver snaffle bit, marked 925, within a fine silver curb chain bracelet. 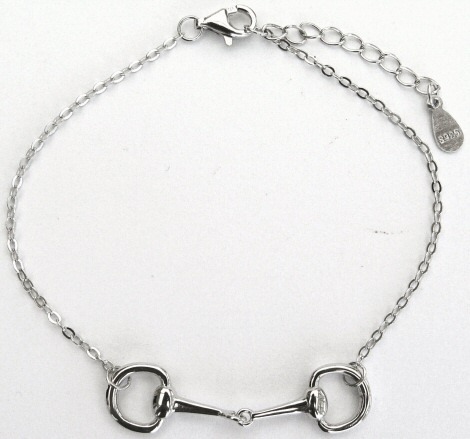 The length of the bracelet is 16cm and has a 3cm extension chain making 19cm at its largest. 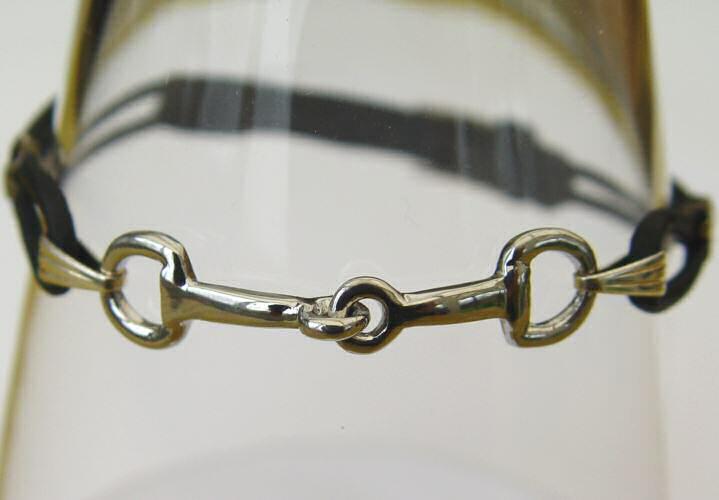 The chain is also marked 925 and fastens with a secure lobster clasp. 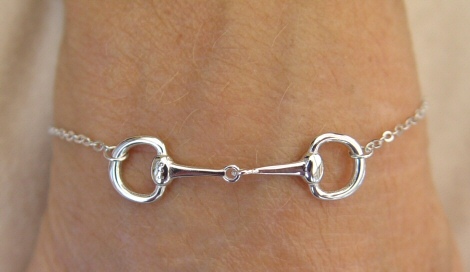 Perfect for layering with other bracelets or worn on its own. 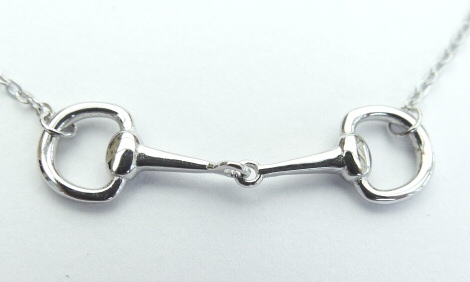 Short Description:- Sterling Silver Snaffle Bit Bracelet: a delicate bracelet featuring a silver snaffle bit within a fine silver curb chain bracelet.